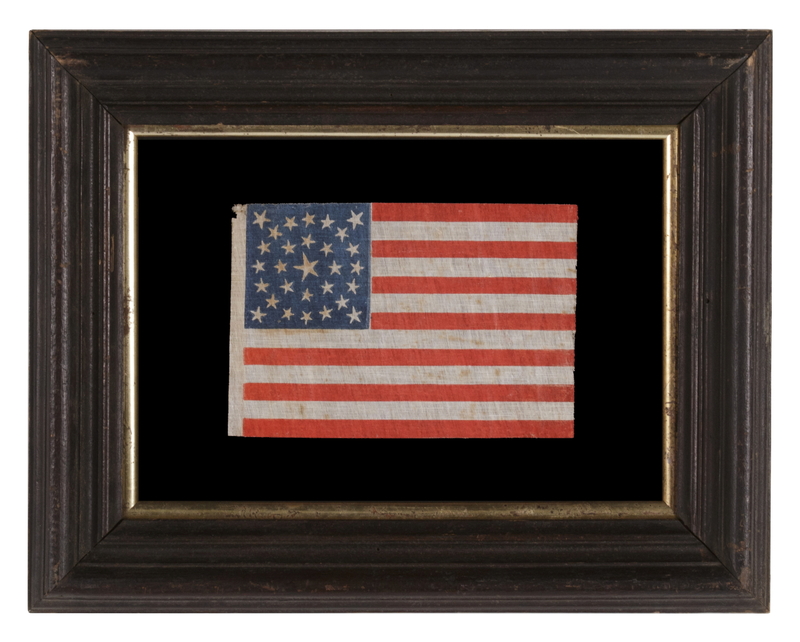 Frame Size (H x L): 17.5" x 22.25"
Flag Size (H x L): 7" x 10.5"
29 star American national parade flag, printed on coarse, glazed cotton. The stars are arranged in a double wreath pattern with a large center star and 4 flanking corner stars. Note how the arms of the stars have an exaggerated length and thus bear a very interesting folk quality. This is one of my favorite early parade examples because of the great visual impact in its design. The 29th state, Iowa, entered the Union on December 28th, 1846. 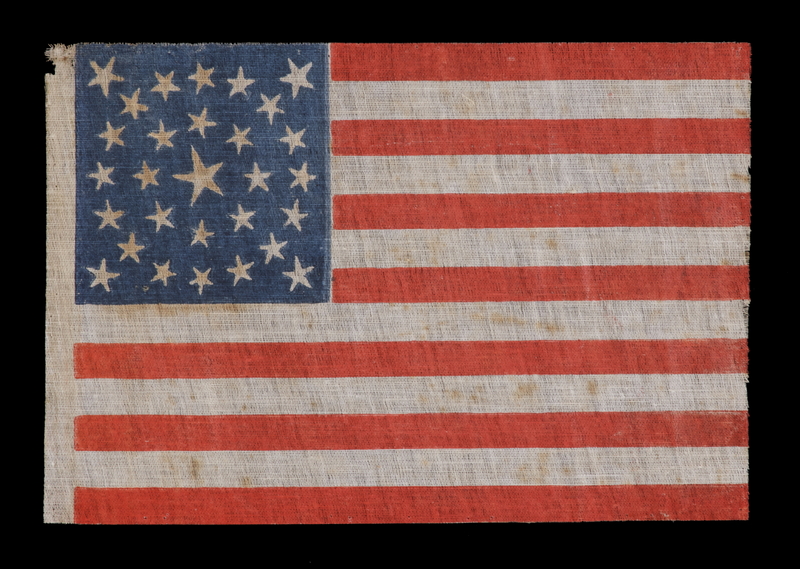 The 29 star flag was official from 1846-1848. This was the period in which the United States went to war with Mexico, in the wake of the annexation of Mexico and during a heightened state of westward expansion. Flags made prior to the Civil War comprise less than one percent of 19th century flags that have survived into the 21st century. 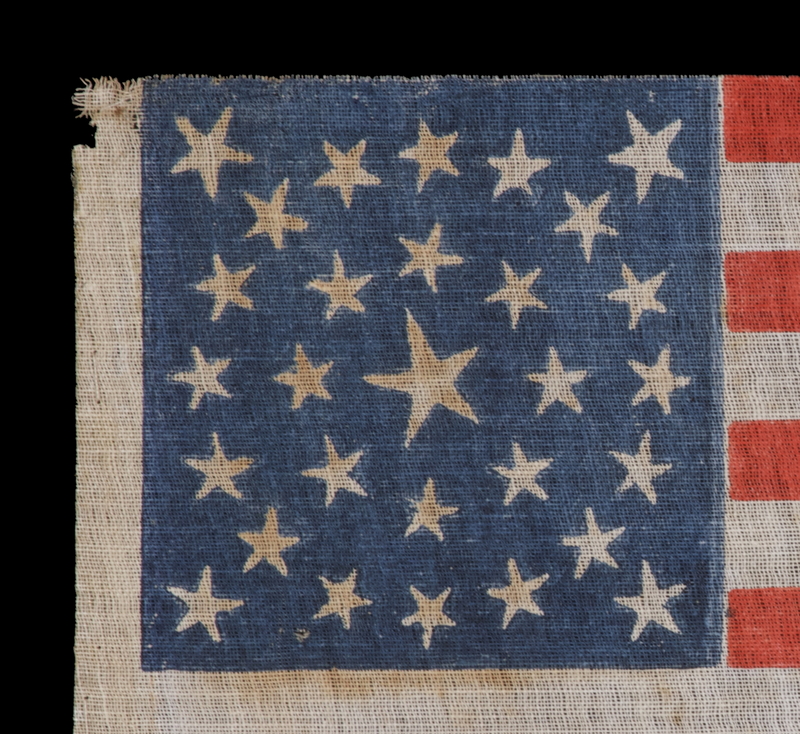 Prior to the Confederate attack on Fort Sumter, the Stars & Stripes was simply not used for most of the same purposes we employ it in today. Private individuals did not typically display the flag in their yards and on their porches. Parade flags didn't often fly from carriages and horses. Places of business rarely hung flags in their windows. 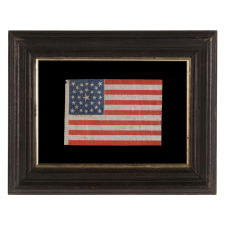 Private use of the national flag rose swiftly during the patriotism that accompanied the Civil War, then exploded in 1876. Even the military did not use the flag in a manner that most people might think. The primary purpose before the Civil War was to mark ships on the open seas. 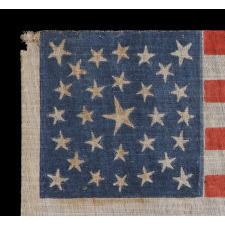 While the flag was used to mark some garrisons, the flags of ground troops were often limited to the flag of their own regiment and a Federal standard. Most people would be surprised to learn that the infantry wasn’t authorized to carry the Stars & Stripes until 1837. Even then it was neither required nor customary. 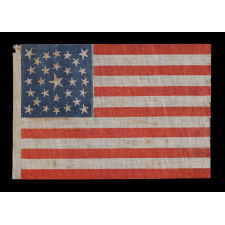 It was not until the Civil War took place that most U.S. ground forces carried the national flag. Mounting: The flag was mounted and framed in our own conservation department, which is led by masters degree trained staff. We take great care in the mounting and preservation of flags and have framed thousands of examples; more than anyone worldwide. 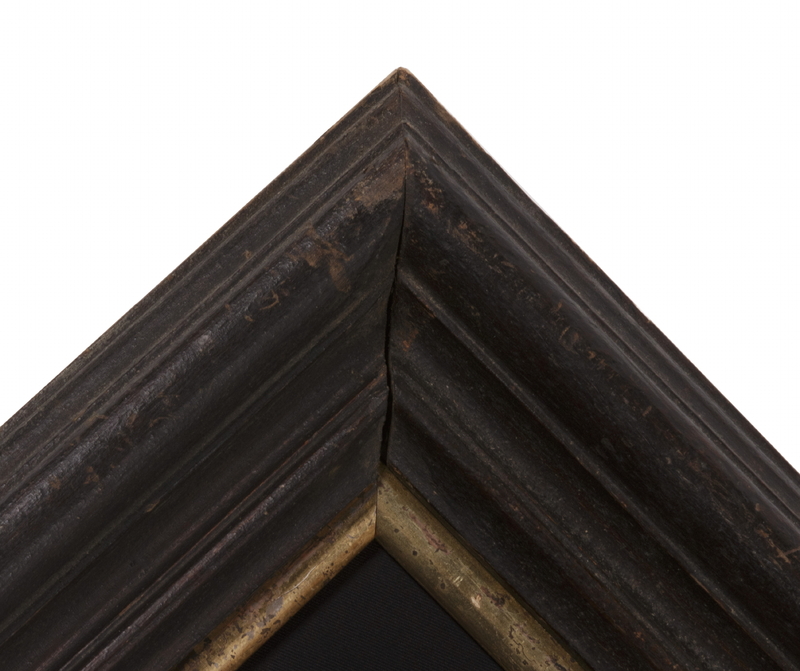 The exceptional, black-painted, American frame retains its original surface and dates to the period between 1800 and 1830. 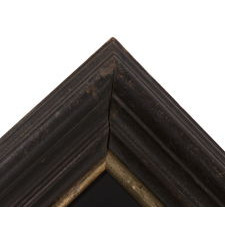 To this a gilded molding of the mid-19th century was added as a liner. The background is 100% cotton twill, black in color. Spacers keep the textile away from the glazing, which is U.V. protective glass. Feel free to contact us for more details. Condition: There is modest staining throughout and there is minor fabric loss in the white area along the hoist, near the top. Many of my clients prefer early flags to show their age and history of use.